Imagine, you have never been to India before. You are a foreigner, possibly European/American/Australian. You have just landed at one of the airports in India. You are quite tired after a lengthy journey, but excited and ready for a holiday or a business trip. After walking quite a long distance you get stuck in a queue to passport control counter. You feel like half of the world wants to enter India today and everybody chose the same port of entry like you. Anyways, after a while you get the stamp in your passport. Then you collect your luggage, go to the toilet and start noticing how big, nice, clean, quiet and modern is the airport you are in. Airports in India are very safe. You cannot enter any airport unless you show your flight ticket and passport. There are armed forces (police or army) standing at every door and checking each passenger. That’s why Indian airports are calm and quiet (undercrowded in comparison to the outside world). But let’s go back to the main topic. You have stamp in your passport,your luggage, you visited toilet and you are ready to leave the airport. Your transfer is either already booked or you have to find one. If your taxi/bus is prebooked then life is easy 🙂 If not, then life becomes exciting 🙂 Now, let’s imagine you have already sorted it out. Finally, you are in the taxi! 🙂 You can relax now….. No, you cannot! It’s too much happening around. 5 things you learn about India within 5 minutes after leaving the airport. Everywhere you look, there are people- to the left, to the right, in the front, at the back, on the street, on the road, under the bridge, on the grass, at the traffic lights-sitting, standing, driving, walking, laying down, sleeping, hanging (from vehicles), talking, relaxing, working etc . The amount of people you see on the way to your hotel/hostel/house is the amount of people you see in your country within a month 🙂 Unless you attended recently football match, concert or a massive political protest (let’s not forget about Christmas shopping and sales :P). So, you have just learnt there are a lot of people in India. You have realised wikipedia doesn’t lie and you just saw a tiny fraction of 1.2 billion of Indian citizens. Unfortunately, although India is a powerful country with thousands of multimillioners and some of the richest people in the world the first striking thing for a foreigner is to see a small, barefoot child walking around in his slightly torn clothes. This picture is often seen as soon as he leaves airport. Poverty is so visible that sometimes it overshadows other beautiful aspects of India. This is a major, social problem for this beautiful country that cannot be solved only by money. That’s why it is important to show tourists other side of India- new, modern, educated society full of professionals with high aspirations. After 5 minutes in your taxi your first shock and a look of astonishment disappears. You realise this country runs in an organised colourful chaos. Although many things might look strange and crazy for us foreigners, that is how India rolls 🙂 It’s loud, vivid, vibrant, friendly, diverse, beautiful, colourful place- incredible India! Hi! I think I can relate to this post, as I experienced all of these things…except the roads when I first arrived in India. Somehow I landed at 3am and the roads were mysteriously empty at that time of night. Imagine my surprise the next day when the country was transformed into a whole new world for me. Maybe it was better that I arrived so early in the morning, so I could ease my way into the wonderful chaos India is. So true! Watching through the window and digesting it was a very important step in eventually becoming a part of it and loving every minute. I happen to be from India and feel genuinely pleased to see someone speak of my country and tell it like it is. A common problem many tourists face (not in the cities) is the staring. Most tourists I’ve interacted with have mentioned it to me. The stares are harmless and out of curiosity (to see someone from another land) rather than anything else but it makes people uncomfortable. Just wanted to know, did you face anything of the sort? Cool to know it from your point of view 🙂 Glad you liked India! You have a lovely blog! I have nominated you for the Blogger Recognition Award as a token of my appreciation. Participation is optional but it’s a lot of fun! Here is the link https://spoonfulospice.wordpress.com/2017/03/11/blogger-recognition-award/ . My pleasure 🙂 congratulations and all the best! Great article. Thank you so much. I must get there to visit this exciting country. Interesting to read perceptive visitor’s perspective about India – nicely done 🙂 And welcome to India! Wow! Beautiful article! Loved the ”organised colourful chaos” ! Awesome view over such an amazing interesting country and culture. It’s been on my travel list for some time now and articles like these move it a bit higher up haha. Greatly appreciated! Thanks a lot for you kind words and for stopping by! 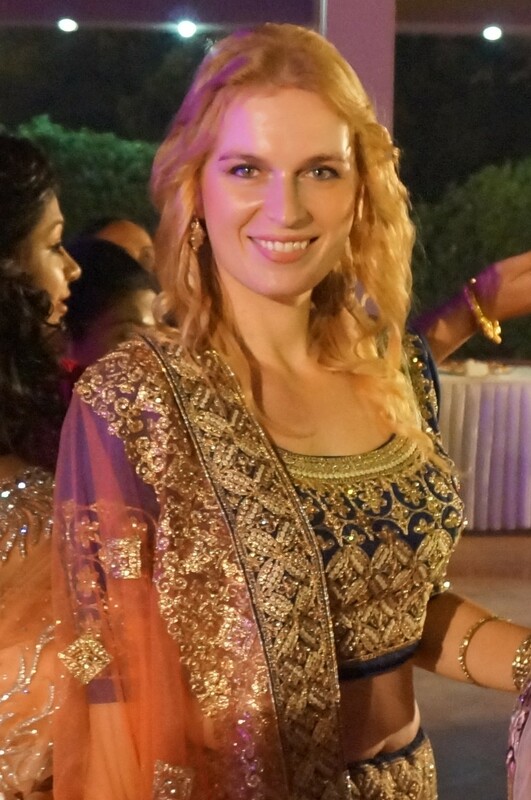 I do recommend you to visit India- not once, because you won’t be able to feel it in a one go, but several times 🙂 I know it’s easy to write, but if you have a change- go there! Good post! I agree, there are people everywhere! Between the time you see a motive and you lift your camera to take it, you have 65 people march through your picture. India is a country of extremes, but it is gorgeous. One of the nicest countries I have been to. The experience was mind blowing but I would go back in a heart beat. Was really great to read this post. I particularly like the part where you say that when you get into the taxi, you cannot relax because so much is happening around…This is really true, India is such a busy and happening place, you just can’t afford to relax if you want to feel the nation. Thanks for sharing!! Have a great day.